Immanuel Wallerstein is one of the most innovative social scientists of his generation. Past president of the International Sociological Association, he has had a major influence on the development of social thought throughout the world, and his books are translated into every major language. 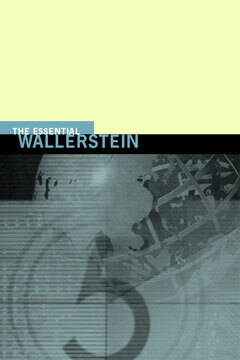 The Essential Wallerstein brings together for the first time the full range of his scholarship.This comprehensive collection of essays offers a unique overview of this seminal thinker’s work, showing the development of his thought: from his groundbreaking research on contemporary African politics and social change, to his study of the modern world-system, to his current essays on the new structures of knowledge emerging from the crisis of the capitalist world-economy. His singular focus on the way in which change in one part of the globe affects the whole is all the more relevant as the world grows increasingly interdependent. The Essential Wallerstein is an ideal introduction to the extensive body of work from a thinker who helped introduce globally sensitive thinking to the field of social science. This is the first in a series of Readers bringing together the key works of major figures in the social sciences.